Is the Bearded Collie right for you? Find your perfect match now! The Brady Bunch made the Bearded Collie a household name when they welcomed Tiger into their split-level ranch. 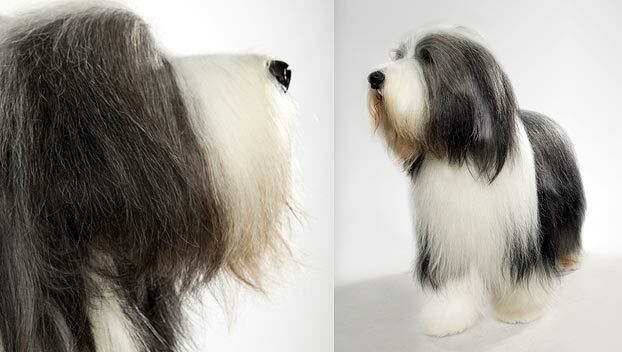 Folks often confuse “Beardies” (as their fans call them) with Old English Sheepdogs, but the tails give them away. Of the two, Bearded Collies are the ones with tails. Originally from Scotland, this medium-sized and active breed can grow to between 45-55 pounds and lives an average of 12-14 years. The breed is recognized by the American Kennel Club and classified as a member of the Herding group. Bark Factor: I love to talk! 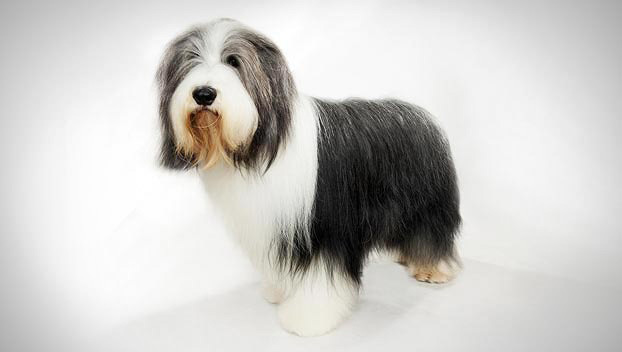 WHAT IS A BEARDED COLLIE'S PERSONALITY LIKE? Bearded Collies are cheerful, high energy, very playful, and very affectionate. 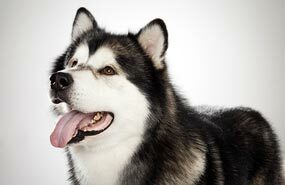 If they've been well-socialized, these dogs are friendly with other dogs, pets, and children. 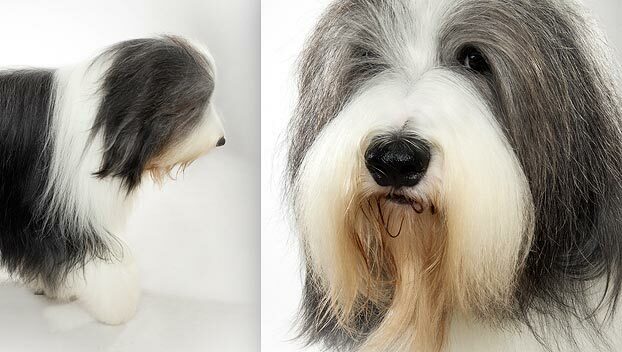 WHAT IS BEARDED COLLIE BEHAVIOR LIKE? This bouncy breed loves children and families, but their tendency toward “ruff” play means you'll want to supervise them with little ones. Bearded Collies need room to spread out, both in- and out-of-doors, so they're best suited to suburban or rural families who have lots of time to play. Vigilant and prone to barking, a Bearded Collie wants you to know what's on her mind. They're usually not particularly protective. This is a dog who wants to work, so find your furry friend a job or be prepared for mischief. Because Bearded Collies want nothing more than to play with you, leaving them on their own too much can also lead to destructive or aggressive behaviors. HOW EASY IS IT TO TRAIN A BEARDED COLLIE? Like many herders, Bearded Collies can be strong-willed and stubborn. Start while they're young and be patient and consistent with Beardies. Keep your training exercises engaging — these intelligent and independent dogs bore easily. You might consider agility, rally, or herding training to channel all that energy and intelligence. HOW MUCH DO BEARDED COLLIES SHED AND WHAT ARE THEIR GROOMING NEEDS? All Bearded Collie puppies have dark coats, which often become greyer as these dogs age. Their coloration may not become permanent until they reach middle age. Their double coats are medium-length, harsh, and weatherproof. Those coats need consistent care. Brush and comb them every day, and schedule a bath or a trip to the groomer's at least every other month. Bearded Collies are heavy, once yearly seasonal shedders. WHAT HEALTH PROBLEMS DO BEARDED COLLIES HAVE? Though generally healthy, some Beardies are prone to cancer and arthritis. Bearded Collies can also develop hypoadrenocorticism (Addison's disease) and hypothyroidism. Some suffer from eye disease and hip dysplasia, but these are rare. 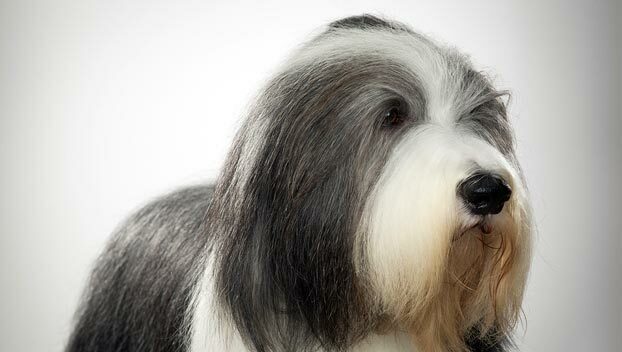 ARE BEARDED COLLIES GOOD FOR PEOPLE WITH ALLERGIES? The American Kennel Club doesn't list Bearded Collies among its breeds recommended for allergy sufferers. You can reduce your furry friend's impact on your allergies with frequent baths and brushings to reduce loose hairs and allergy-aggravating proteins in your pet's dander. Use a damp cloth to wipe off your dog after playing outside. Smaller dogs have less surface area, so they produce comparatively less dander than larger breeds — definitely something to keep in mind with a dog as large and hairy as a Bearded Collie! Remember that no breed is 100% hypoallergenic, and any breed can aggravate allergies. WHAT'S A BEARDED COLLIE'S BEST DAY? A game of (supervised) tumble in the backyard with the kids followed by a training session and satisfying meal should hit the spot. SHOULD I ADOPT A BEARDED COLLIE? 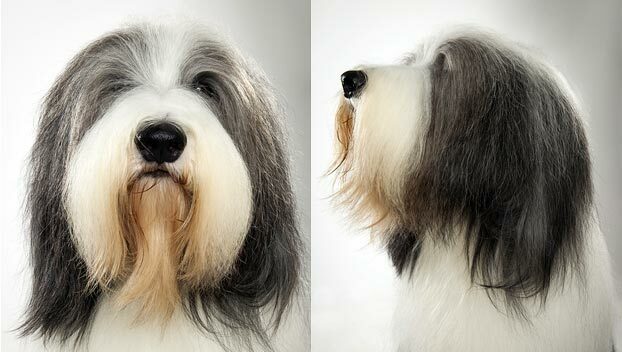 Bearded Collies are a great choice for active folks who don't mind maintaining their flowing locks. These dogs are funny, boisterous, and deeply devoted to their chosen people. They're okay in the heat, but thrive in cold weather. Most importantly, you have to want to spend time with your furry friend — Bearded Collies don't like to be alone. Have you decided that a Bearded Collie is the perfect dog for you? Why not be your new best friend's hero and adopt a rescue! Be sure to check out our article on what to expect when you're adopting a dog or cat.